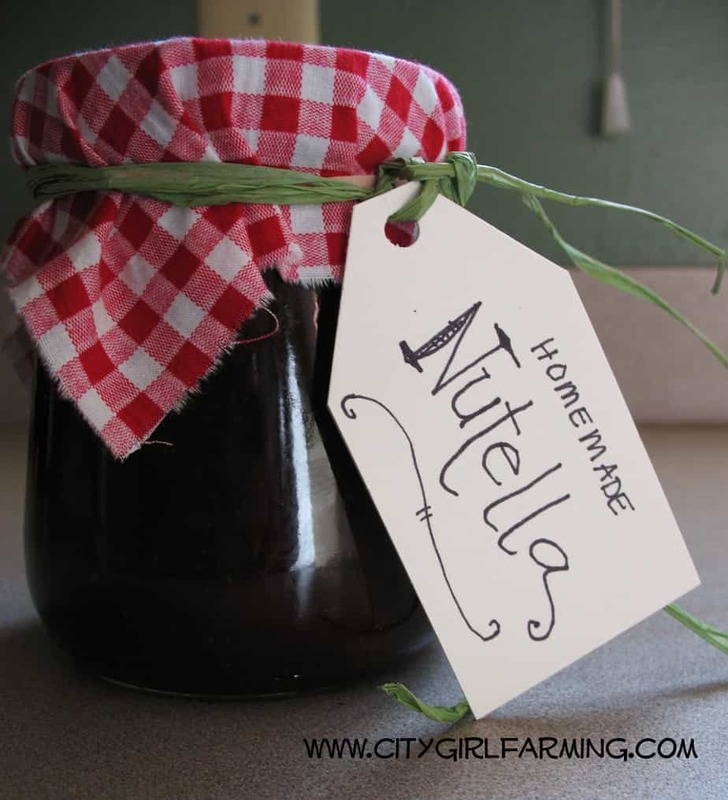 Imagine my happiness when I found a recipe for Homemade Nutella (a chocolate hazelnut spread)! Why I’d never thought to make it myself before this year, I don’t know. But it has now! And I’m making up for lost time. It’s worth the wait. And the wait isn’t that long anyway! Nutella makes a great DIY gift. As a matter of fact, you should make extra and put a jar in your own stocking! 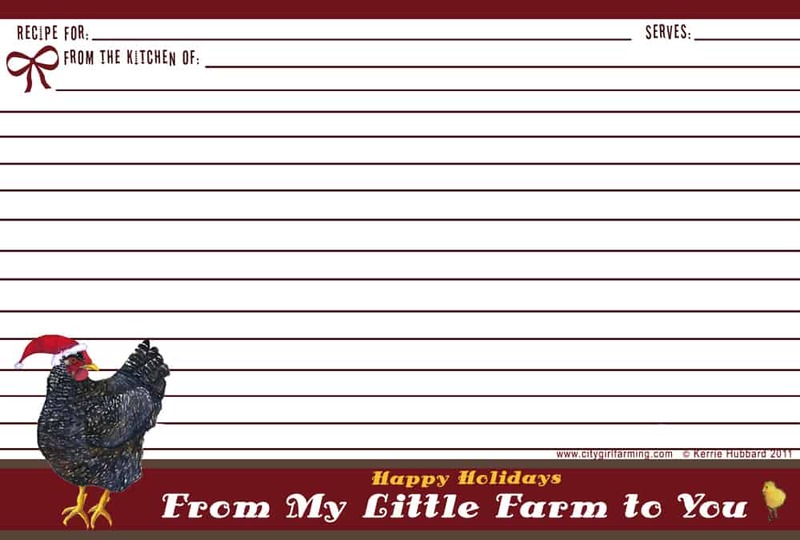 And while we’re in the middle of the 12 Days of Christmas, I thought I’d give you guys some Christmas recipe cards. You can download this free pdf here and print them right on your computer (or take the file to a printer and get them printed on card stock). Put the recipe for Nutella on one of these cards when you give it out for Christmas. I can guarantee the recipient will want to make it again! First, stick a metal bowl in the freezer to get it really cold. 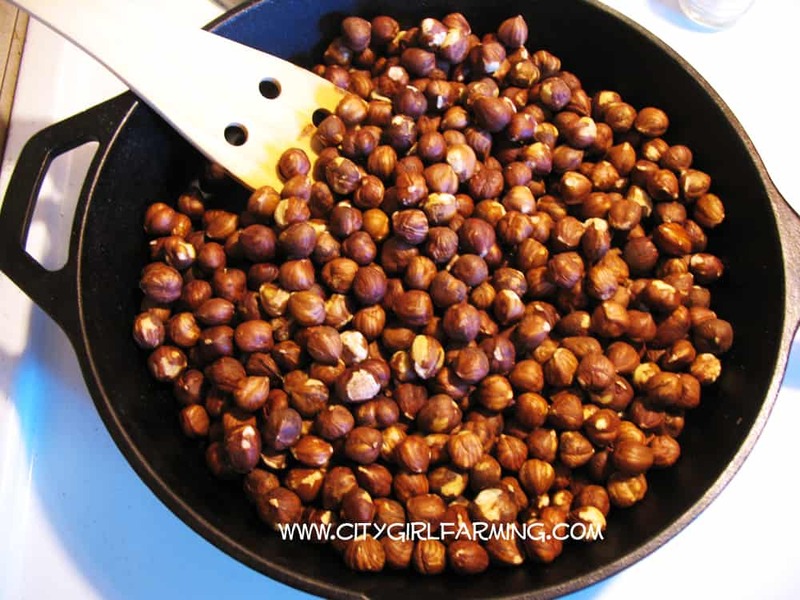 Then, take the hazelnuts and toast them in a dry skillet over medium heat for about 8 minutes. Pour them into the cold bowl and stir them to help cool them and loosen the husks. Rub the husks off (as much as you can get off) and throw them away. 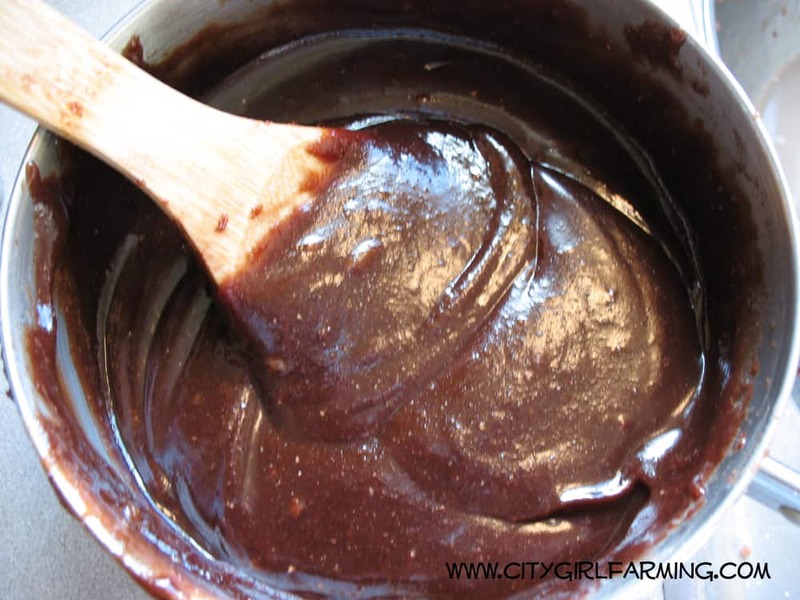 In saucepan on medium low heat, melt chocolate, butter and sugar. Once melted, remove from heat. Stir for another 30 seconds. Add vanilla. Dump the nuts into a food processor and blend for 1 minute. While the machine is running, stream the oil into the nut mixture. Blend for another 5 minutes (remember, no cutting corners here!) until it’s very smooth. With the machine still running, add the chocolate mixture the same way. Blend for another 2 minutes or so (scrape down the sides once in awhile during this whole process). It tastes best if you leave it until the next day to eat it, but let’s be real here! Dive in! Pulse hazelnuts in food processor for 2-3 minutes, until paste-like. Add chocolate and pulse until finely ground. In a small saucepan, bring cream, sugar and salt to boil over medium heat, stirring to dissolve the sugar. Turn the food processor back on and while it’s running, drizzle the chocolate mixture in. Blend for 5 minutes until smooth. Stir in vanilla. Eat. Oh, I mean, package in cute jars to give away as gifts. Trust me on this one. You’ll score major points if you make homemade Nutella for your friends and family this Christmas!